There is nothing better than having a perfect cup of coffee in the morning to jump start your day. But a lot of times, it can be difficult for us to get out of bed early to make a fresh cup of coffee before we start our daily schedule. Therefore, in recent years, there are variety of capsule coffee machines are out in the market which enable people to quickly prepare a cup of hot coffee. 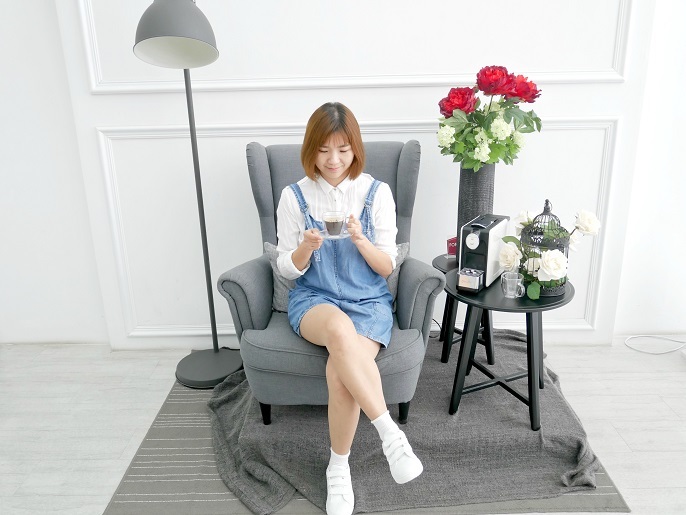 Being a coffee lover, this certainly a great thing for me because the capsule coffee machine is not only give a good coffee taste, but also at a lower price and within just a few minutes. Well, a cup of hot coffee in an early morning is not a distant dream anymore! I visited Diamond showroom in about a month ago to explore the whole product range by Diamond. If you are one of my followers, you must have read my previous post about the Diamond Coral WaterBar. But if you haven't read it, you can get to know how to have a glass of warm water in just 3 seconds at here now. 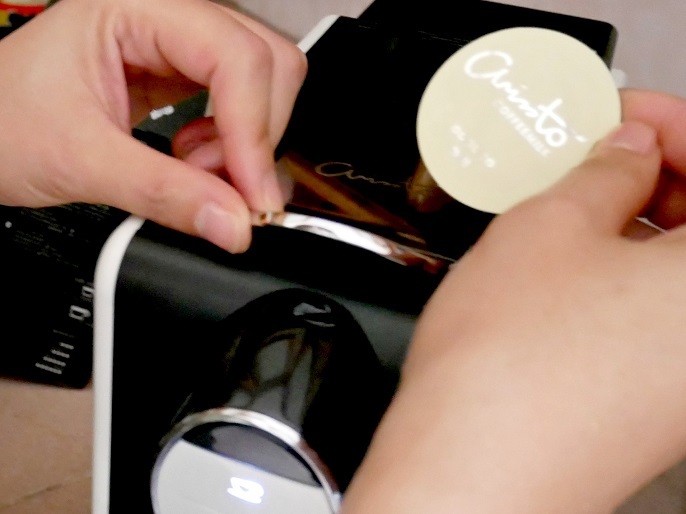 Well, at Diamond, ARISSTO Premium Italian Coffee is another great innovation invention; it is a capsule coffee machine that enables coffee to be well brewed and served instantly. There is a wide range of capsule coffee machines available on the market today, from different brands, to different shapes, designs and functions. 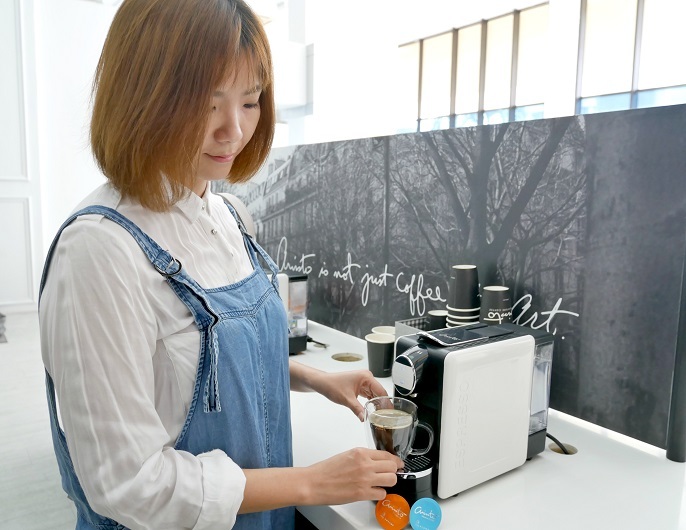 But what actually caught my attention to the ARISSTO Coffee Machine, their Happy Maker, is not only the coffee machine has a beautiful outlooks, it is also easy for everyone to brew a perfect cup of coffee. The Happy Maker is small, which has an overall size at 347L x 120W x 245H (mm), with net weight at 3.4kgs. Even though it is small in size, it makes the machine work smoothly and easily. It is a great compact machine for people with space constraint because it doesn't use up much space in your home or office. 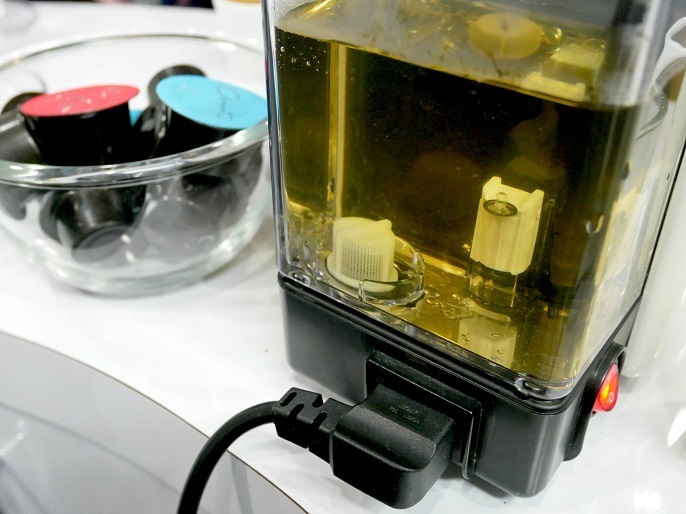 You can just get it installed everywhere you are connected to brew a cup of fresh coffee. Everything on the Happy Maker is very simple regarding the usages. Step 1: Fill up the water tank with maximum 800ml filtered water. Step 2: Press the ON button and wait until 60 seconds, till the brew buttons illuminate and stop flashing. The machine will beep when ready. Step 3: Place a small or large cup on the cup platform and adjust the nozzle to the required height. Step 4: Lift the lever fully and insert the capsule. Then close the lever fully. Step 5: Press the chosen brew button for the quantity of coffee you needed.The dispensing process is automatically stopped. 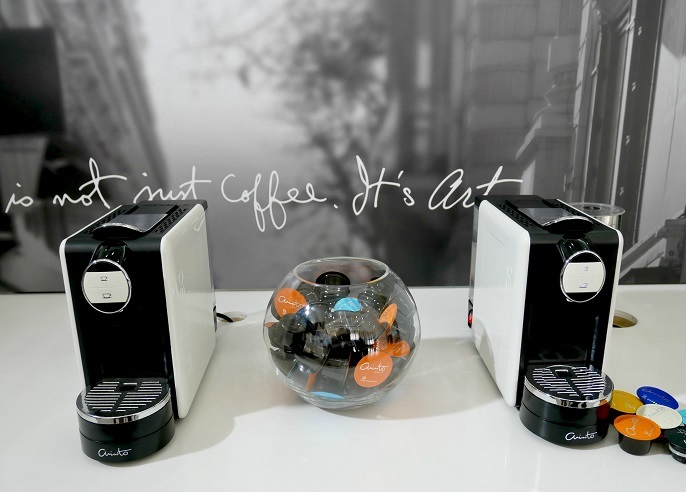 ARISSTO Premium Coffee Machine not only capable of producing a quick cup, but also a tasty cup of coffee. 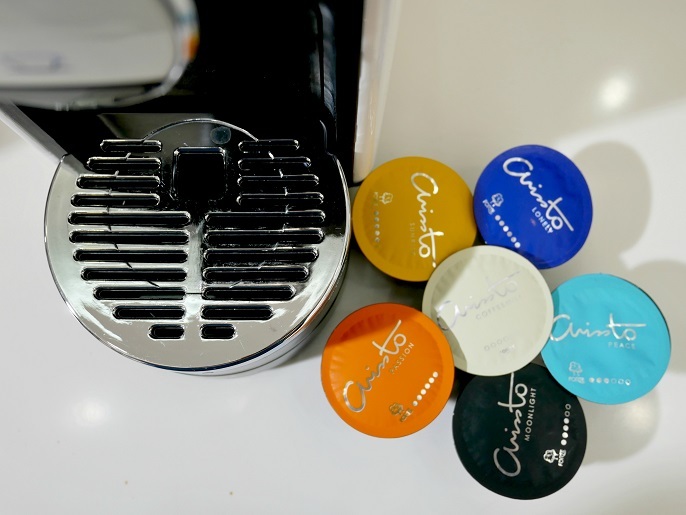 Each of ARISSTO's signature flavours is expertly crafted by Italian coffee makers from choosing, roasting to grinding the beans. It uses the highest quality Arabica coffee beans from the mountains at an altitude of 2,000 meters in Brazil, Columbia, Costa Rica, Guatemala, Togo, Kenya, Ethiopia and more countries to create a variety of unique Arissto Signature Flavours. All coffee tastes are original, well sealed to keep coffee fresh, and has pleasant aroma that without any artificial additives added. #1 ARISSTO Peace (light blue): 100% composed of premium Columbia Supremo coffee beans. It's a perfect for those who fancy coffee of the Americano or Colombian style. #3 ARISSTO Sunrise (yellow): A perfect balance of nuttiness and richness.This makes it a perfect match for Americano and many other types of coffee. #4 ARISSTO Moonlight (black): A perfect balance of satisfying medium body and crisp acidity. It expresses a light rounded blend of exquisite fresh fruits. #5 ARISSTO Lonely (navy blue): Blended from the finest beans from 5 continents, the richness of this high intensity roast provides a balanced tastes with notes of bitterness. 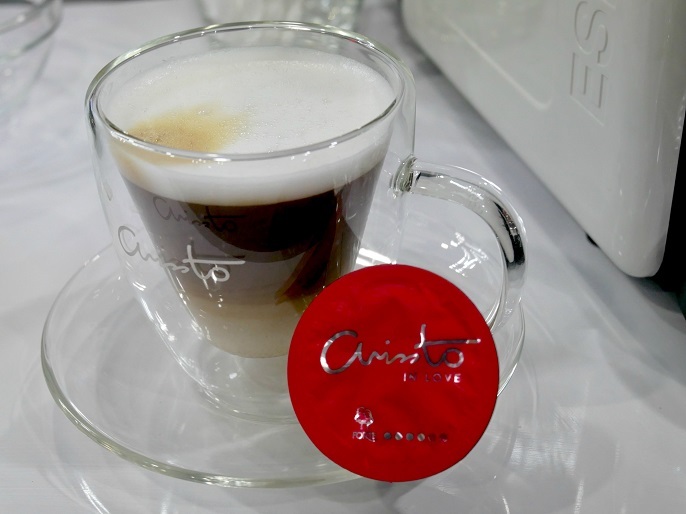 #6 ARISSTO In Love (red): It's for new coffee drinker because it is a well balanced coffee with medium acidity and body. It has a deep sweet flavour with low bitterness level. Moreover, a cup of silky and foamy coffee could be easily created by just using the ARISSTO exclusive low calories milk capsule. As a substitute of whole milk, this exclusive low-calories milk capsule contains only about 40 calories which is 5 times lower than any other single cup of coffee. So, you can enjoy an extra cup of coffee without worrying about overweight. 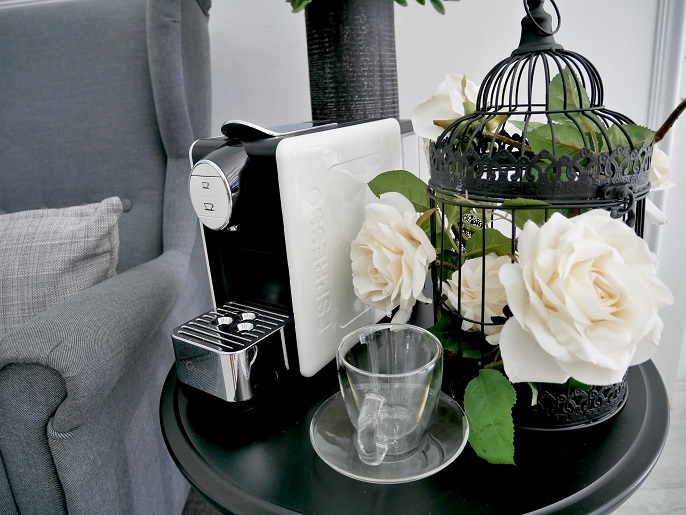 If you like to have special flavours of your coffee, for instance rose latte or green tea latte, you can add the rose tea or green tea bags into the water tank, and reservoir for about 15 minutes. 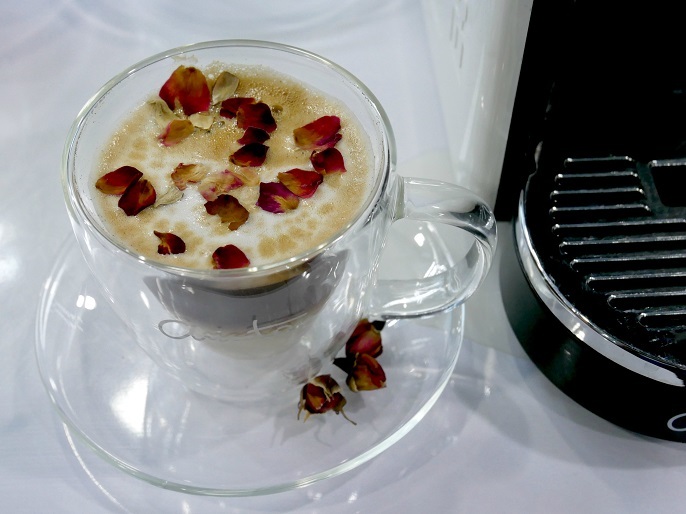 Then, a romantic rose latte will be ready in just 30 seconds! Step 1: Lift the lever fully to eject the capsule. Step 2: Press the brew button to extract 2 shots water through the machine. Step 3: Empty the drip tray regularly. Step 4: Empty any liquid into the sink that may have collected in the capsule basket. Step 5: Dispose of the used capsules left in the capsule basket. It is best to empty water tank and rinse out after each session, also wipe down the body of the ARISSTO machine with a clean cloth. 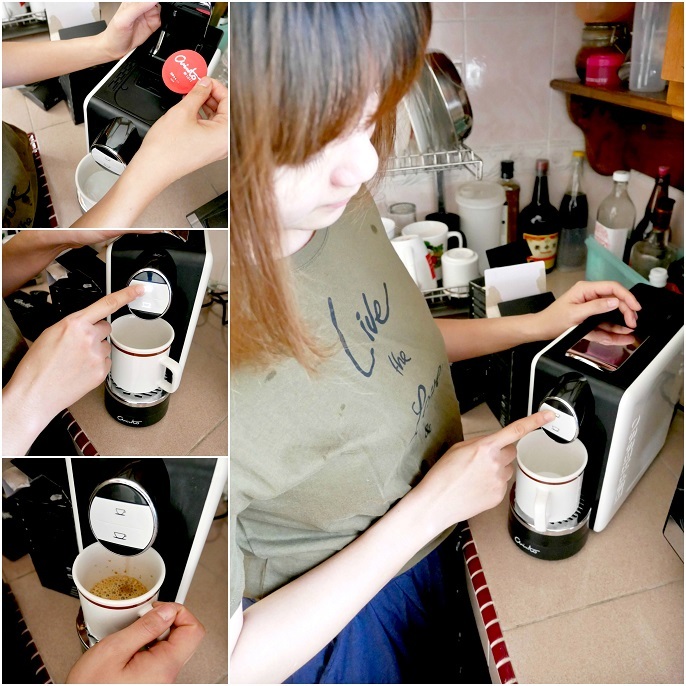 Happy Maker makes your life easy and simple, whereby it provides a different way of coffee preparation. The machine is all customized and made according to anything you want. You don't have to measure how much water and coffee powder you have to put, also you no longer have to spend hours waiting in your kitchen for the boiling water. It saves your time, and also convenient in any kinds of condition. 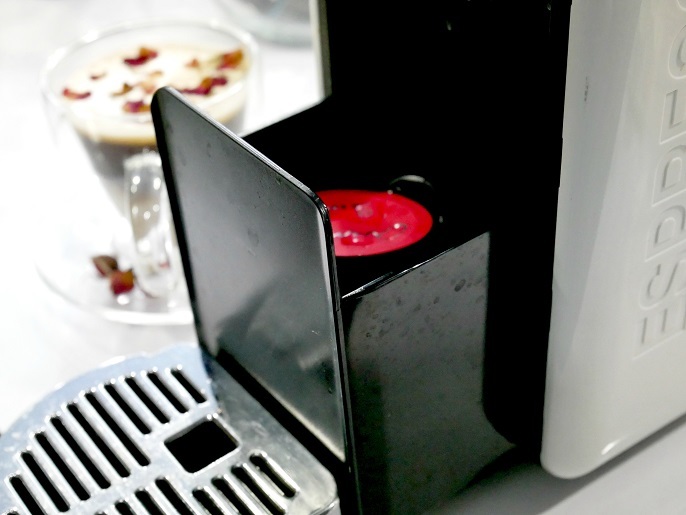 As you may think that this kind of capsule coffee machines can be quite expensive. But, what if I tell you the Happy Maker is free, as long as you purchase the ARISSTO Coffee Capsule Package!? 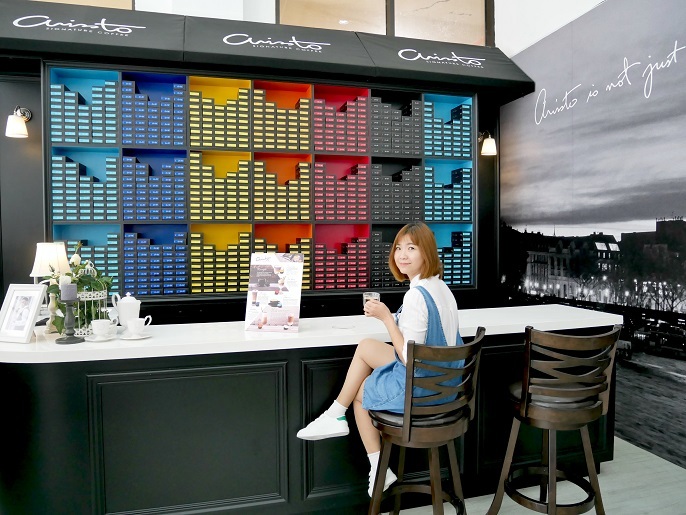 Each ARISSTO Coffee Capsule Package contains 15 capsules in a box, whereby it is about RM3 for any choice of coffee flavour. 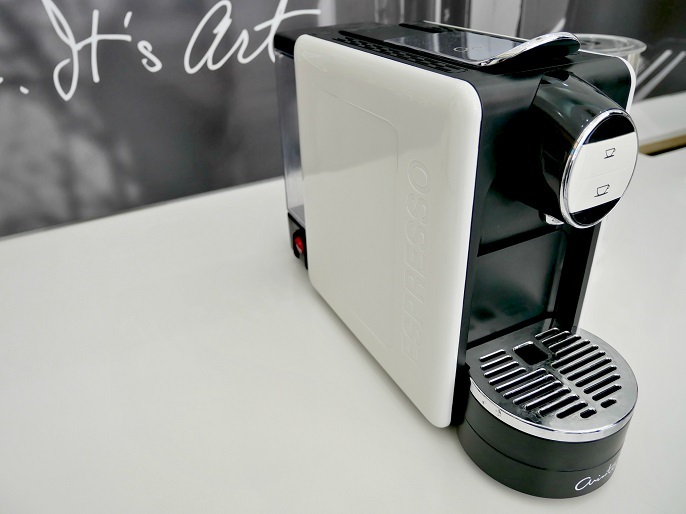 Everyone in my home enjoy the ARISSTO Premium Italian Coffee very much after we installed it in earlier this month. The arrival of the capsule coffee machine is such a great replacement to substitute the instant coffee we drink everyday. 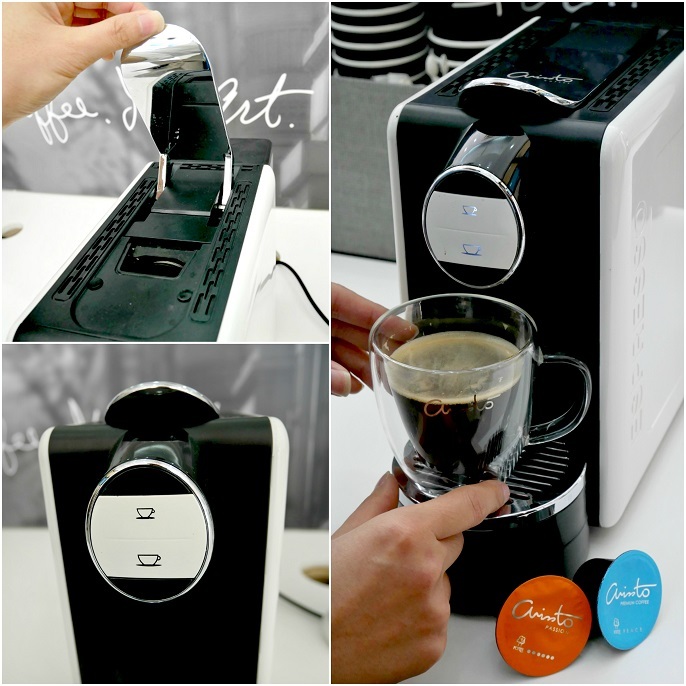 The machine is so easy to use, with just a simple click of the button and it's done; it also allows you to make consistently good coffee in anyway you like. 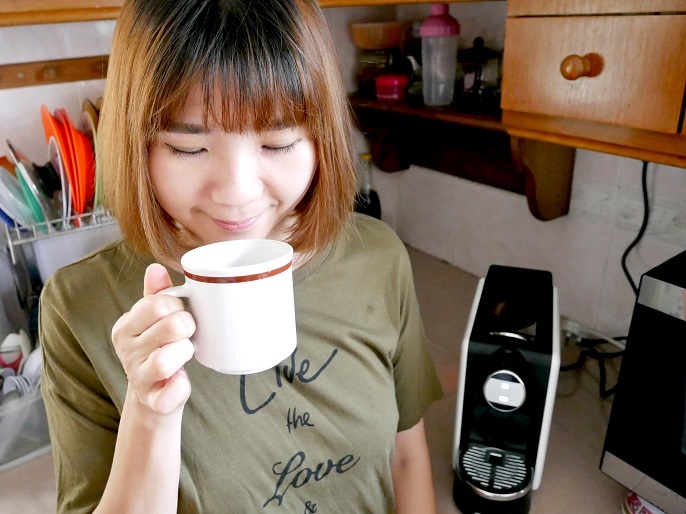 As for myself, I can now sleep an extra 10 minutes in every morning before rushing out, since the machine is able to prepare coffee within just a few seconds. Most importantly, I don't have to wait for too long to heat up the machine and it's also ease of cleaning. And for Lik, he said he saved so much money from not buying the take away coffee anymore before he goes to work. The only drawback that I can think of is you are limited to one brand of capsule as the Happy Maker can only brew the coffee with only ARISSTO capsule. But overall, I think it is a great purchase if you are a coffee lover. ARISSTO Premium Italian Coffee gives you a brand new coffee experience like staying at an Italian Cafe with a sip of 5-star quality Italian premium coffee. 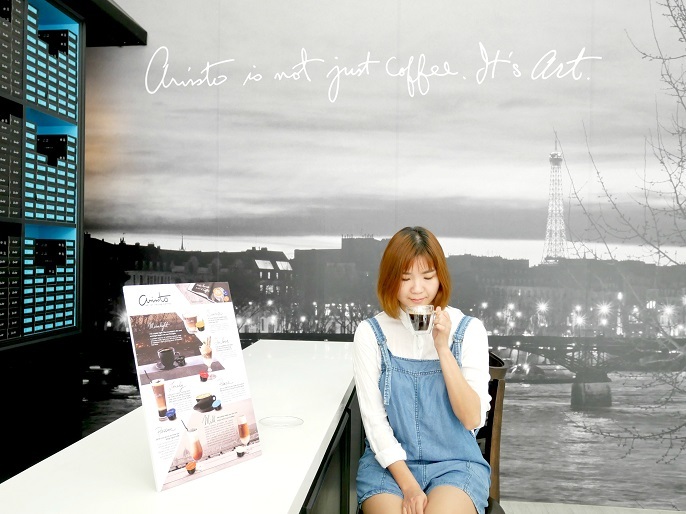 If you would also like to make a single cup of hot coffee fast, simple and convenient, head over to ARISSTO official website at http://arissto.com/my/ or check out their FB page https://www.facebook.com/arisstoofficial for more updates.